Gallery: We're not saying we won't buy stuff like this. The majority of big games last year - even the very best ones - were regimented and almost processional once they got up and running. When a game presents a list of controls and then shows you a screen filled with things to unlock, even if it does these things by way of a few snazzy cut-scenes and an interactive tutorial level where someone breaks out of a flying prison, an experienced gamer knows how the next 8-10 hours are likely to play out. There's still plenty of room for those games. As Hideo Kojima remarked recently, there's nothing wrong with giving people what they evidently want. Games like BioShock Infinite, Grand Theft Auto V and Diablo 3 will probably be wonderful experiences that just happen to progress along predictable lines, and you and we will continue to get excited by the ways in which they do that throughout 2012. We want games that leave us brimming with wonder and excitement and babbling to one another about the amazing things they do. We've always tried to champion games that make us feel this way, but as they have become fewer and further between it has also become easier to miss them entirely. This year we hope to correct that by drawing as much attention as possible to things that capture our interest not because they are known quantities, safe bets and expensive productions, but because they are Actual New Games. This list features a few that we have identified already. Look out for more. The Witness, hopefully due out this year, deposits you on an unremarkable island and invites you to explore. As you do, you encounter puzzles stored on little computer terminals or etched in glass, or bound in the environment itself, and uncover fragments of the story behind the setting. "The point is the magic that happens in the player's mind when he understands the subtle things that the mazes are saying," according to developer Jonathan Blow. "Because the mazes aren't just puzzles, they are lines of communication that aggregate, become more complex and eventually say surprising things." Gallery: The Witness: an island of puzzles, where the island's the ultimate puzzle. It's that magic that singles The Witness out. Blow's last release, Braid, was a beautiful platform puzzle game that initially gave the impression you couldn't progress without unlocking new abilities later on. The moment you realised there were no special abilities - you had everything you needed to solve every puzzle in the game from the first screen onwards - was revelatory, and bodes well for The Witness' as-yet unexplained magic trick. We can't wait to find out the solution. Maaaagic Mooooments: Read Christian Donlan's The Witness Preview to find out more about the island. Sometimes games journalists get to see too far behind the curtain, and one such moment was when we received our review copy of Mass Effect 2 a couple of years ago along with a "reviewer's guide" document explaining in granular detail how the new game reacted to the decisions you'd made in its predecessor. We know that free will in games is generally an illusion, but seeing it laid bare was rather depressing. Gallery: The bleak world of Dishonored is powered by a sort of whale oil electricity - another interesting touch. Dishonored is about an assassin seeking revenge on people who have framed him for murder in what for all the world looks like a 19th century City 17, and you can chart your own path through it using stealth, magic, gunfire, or whatever combination you like. But what's really exciting is the way developer Arkane Studios (with a team led by Harvey Smith and Raf Colantonio) reacts when it finds combinations of mechanics that can be exploited to do things like fly to the top of the game's skybox or kill hundreds of people. Rather than wade in chopping away at functions and parameters to keep your feet on the ground, instead they try to find ways to incorporate those discoveries into gameplay. Because it's fun, right? Eminent Domain: We watched Smith and Colantonio play through a level at QuakeCon last year and put together this Dishonored Preview. Less a sequel and more a game with a tone common to the developer's other work, The Last Guardian is about a boy stuck in a castle with a gigantic cat-dog-eagle creature and on one level can be summed up quite simply. "In a nutshell, the gaming experience that you'll have in The Last Guardian is luring Trico [the animal] with a variety of objects," developer Fumito Ueda told us when we visited his Tokyo studio last year. Gallery: Please let us have it this year. But while the games made by Ueda's team always involve solving puzzles using the environment - even if the environment happens to be a living, breathing creature - they are really about relationships, and The Last Guardian is the most ambitious example of that to date. So ambitious, in fact, that developing the hand-drawn keyframe animations for Trico in order to build empathy in the player for this giant, living creature has taken over five years. Like Ico and Shadow of the Colossus before it, the extent of the team's success should be measured by the way we feel about its protagonists - and probably without ever hearing them speak. Wanda Boy: Oli Welsh travelled to Ueda's studio, overlooking the Imperial Palace in Tokyo, to bring us this Last Guardian Preview last March. Gallery: "Today is a special day." Fez has been kicking around for a few years in gameplay demos and tantalising screenshots, but 2012 is the latest year we're promised the opportunity to play it. It's an opportunity we're still relishing, because it falls into that undersubscribed sub-genre of games that do interesting things with the line between the second and third dimension. In Fez's case, you're invited to work your way through platform puzzles by rotating your 2D environment around a central axis to use depth in your solutions. As the first NPCs you encounter explain, reality is perception, and perception is subjective. Games that allow you to manipulate the world around you for answers, like Portal or From Dust or the (slightly disappointing) echochrome, are often wondrous, and while Fez feels like more of a known quantity than some of the other games on this list, it just about makes it. We hope it repays everyone's faith and patience. Games about stealing things are nothing new, but collaborative top-down multiplayer games about stealing things are the sort that prove captivating to our inner bandit. Like Fez, Monaco is a well-known quantity already (it won the Independent Games Festival Grand Prize in March 2010), and it is perhaps a measure of its resilience and its quirkiness respectively that we're still up for it and nobody has ripped it off in the meantime (although you could argue that Payday: The Heist may have heard of it). It's full of clever ideas - like shared view cones, so your picture of the otherwise-shrouded-in-darkness surrounding area is illuminated by the movements of your fellow thieves - and each player has specific roles and unlockable abilities. With even Left 4 Dead 2 now something of a fading memory, perhaps 2012's great co-op game will be Monaco? Thatgamecompany's previous games, flOw and Flower, were calming experiences that took a single player through beautiful, abstract worlds of colour and sound, and which were seemingly designed to make players ponder and imagine, rather than swallow a prescribed message or overdose on the sensory titillation of interesting mechanics and solutions. 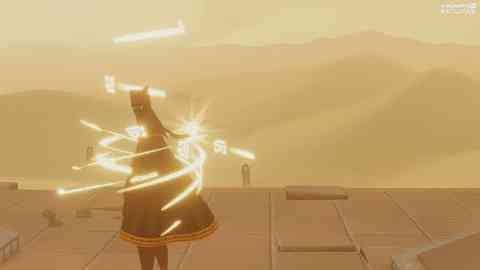 Journey pulls the same trick in a very different setting and with a lovely twist. This time you're not alone. PlayStation Network picks another player for you at random from whoever else is online and doesn't give you any identifying information about them whatsoever, forcing you to interact through song and movement rather than text and speech; a relationship without preconception. Together (or apart - you don't have to co-operate) you head across a desert towards a mountain on the horizon, investigating anything that catches your eye on the way there. Which, judging by the developer's other work, will be plenty. A Leaf On The Wind: Dan Whitehead received a demo from developers Jenova Chen and Robin Hanicke last year and put together this Journey Preview. Eve Online developer CCP had a testing time in 2011, eventually apologising to its customers and reducing its workforce and exposure to multiple projects so that it could concentrate on improving its core game. It was a humbling time for the company, but at no point did it consider backing away from its PlayStation 3-exclusive multiplayer shooter, Dust 514. That's because Dust is more than just another game - or rather less. It's part of the same world as Eve Online. Its massive multiplayer FPS battles take place on real planets in real systems that those engaged in its notorious space-based MMO zoom past in their ships. CCP's experience and ingenuity in crafting one of the only successful subscription western MMOs besides World of Warcraft make Dust interesting, but the shared economy and relationship that will have to develop, between PC players flying through the skies above and PS3 owners shooting one another on the ground below, could be revolutionary. Rear Admirable: Another game announced long ago, Oli Welsh actually visited CCP to report on it in 2009. He brought back this fascinating Dust 514 Preview. Most people's recollection of Wii U's unveiling at E3 last year is of confusion and uncertainty, which hasn't been helped since by Nintendo's difficulties with 3DS and absolute silence about its next console. But 2012 is when it is penned to launch, and we've heard reliable whispers that it's still very much the company's intention to launch it before the end of the year. Which is good, because out of the many things we saw at E3 last year, Wii U is one of very few that belongs on this list. It retrieves the concept of asymmetrical multiplayer - attempted with games like Final Fantasy: Crystal Chronicles and Zelda: Four Swords on GameCube - from the archives and gives it a new home in a wireless, permanently connected world; it brings a second screen to the home console, eight years after Nintendo DS brought a second screen to handhelds and reinvented them in the process; and it is built by people with nearly a decade of experience making innovative use of touch controls, gyroscopes, augmented reality and multiple screens. 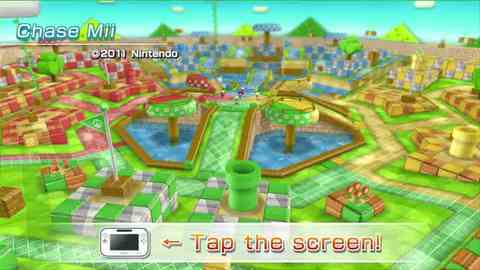 The Wii U is confusing in the sense that it doesn't have a single definable focal point yet in the public imagination. We've seen only the tools. But judging by the experiences we've had playing with them, and the HD graphics we've seen pumped out of the new base unit, this could be the console that finally bridges the divide between Nintendo's historical fanbase and the new audience it has spent the years since cultivating. We're still at the benefit-of-the-doubt stage, of course - and heaping on plenty of it to be sure - but we'll always have some benefit of the doubt left over for Nintendo. Knowing Mii, Knowing U: Oli Welsh (why does he get all these bloody assignments?) was our man behind the scenes at E3 last year, where he brought us this Wii U Hands-On Preview. Gallery: Parodies don't always work out in gaming, but Retro City Rampage looks lovely. Our rules for making the above list were fairly strict (and subjective, so don't be too upset if we didn't pick one of your favourites), but there were a few games that nearly made the cut. Dear Esther is a ghost story where the player hears fragments of a narrated letter to a woman named Esther as he or she explores gloomy locations. It began life as a Source Engine modification and is getting a commercial release on Steam next month. The Last of Us was announced very late in 2011, leading us to suspect it's actually due out in 2013, but we wait to have that confirmed. We also wait for more details before getting too excited, because for all Naughty Dog's narrative craft with the Uncharted series, its gameplay doesn't knock all that much off its moorings. Hopefully The Last of Us will. Gravity Rush is a PlayStation Vita action game produced by a team working under designer Keiichiro Toyama, who created the Forbidden Siren series. It's about a young woman who can manipulate gravity around her. Retro City Rampage is a parody of games like Grand Theft Auto (which should work out well - Rockstar takes criticism with amazing grace in our experience) that also pays homage to games like Mega Man, Contra, Bionic Commando and Zelda.